Squinkies are the hottest new toys for tweens. Squinkies have already stormed the US market where there has been a huge rush for them and they are about the hit Australian shores. What are Squinkies? 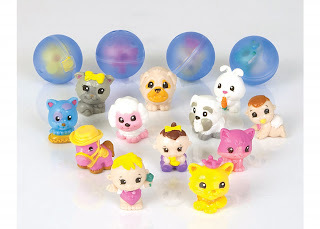 Squinkies are miniature pet collectables. Tiny characters that pop out of plastic gumballs to perch on pencils or be made into rings and bracelets.